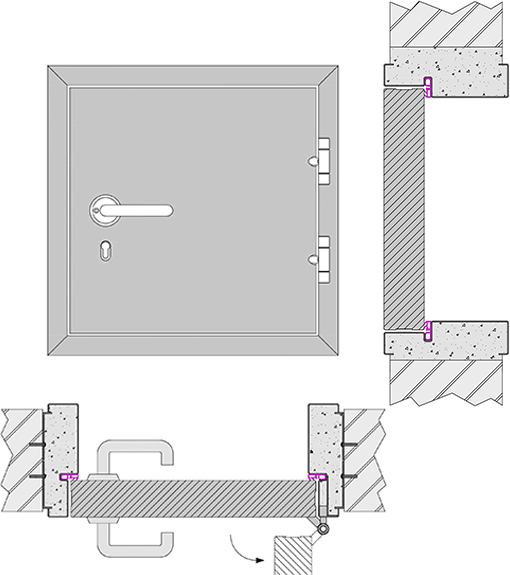 Hatches are small vertical doors while trapdoors are small doors fitted horizontally. Based on the Metal+ concept, the trapdoor and the hatch can be surrounded by a frame on all four sides. They have impressive basic performance features (mechanical resistance, frequency of use, 15-year warranty). They can be equipped with combinations of many other performance features (fire resistance, acoustic protection, burglary resistance, etc.). 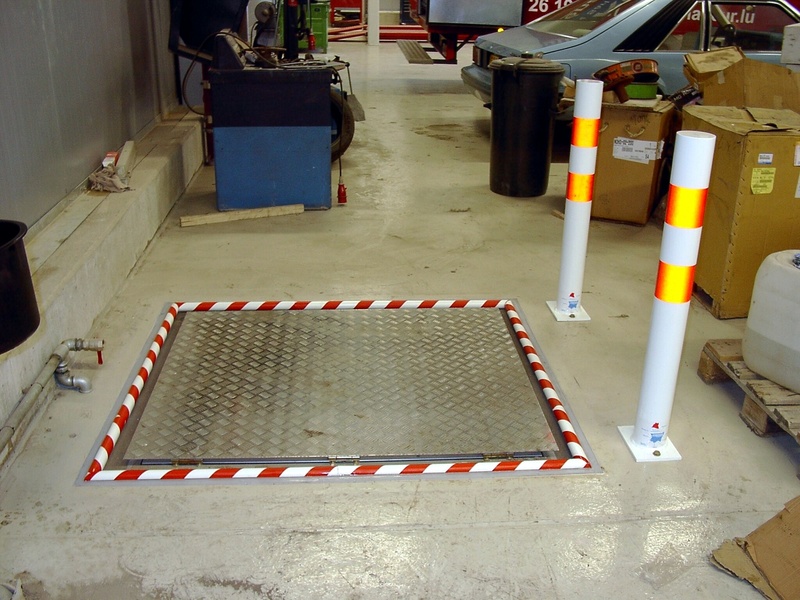 Purpose-made, the trapdoors and hatches have minimum dimensions of 400 mm by 600 mm. Why use a Heinen trapdoor or hatch? They are usually used to enable access to technical service spaces (whether vertical or horizontal). Our floor trapdoors can cope with intensive traffic, both goods and people (pavements, manoeuvring spaces, conveyor belts, etc.). In addition, the frame and leaf have integrated fittings so that the finish is flush with the ground.